We are simply so proud to hear that our nieces and sister won from their Halloween Costume contest. With a self – made up, our sister won first place for the adult category. The little ones bagged second place and third place too with their cute angelic and fairy costumes. So, in spite of our youngest niece on broken arm in a lightweight cast, she still looked amazing. 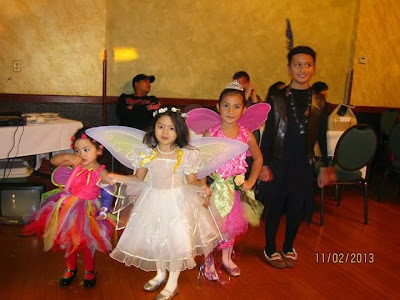 The Filipino community, the Akbayan, in Wisconsin annually holds Halloween Party as their reunion with other Filipinos. Who Wants a Singing Fashion?